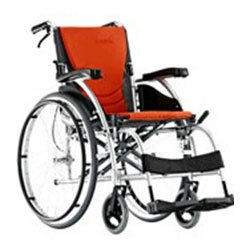 The S-Ergo 105 is equipped with the world's first innovative S-Ergo System, designed according to the body curve that evenly distributes user's weight, greatly reduces user's pressure and stabilizes sitting position. Hence, it minimizes the potential of developing pressure ulcers and scoliosis. Designed according to the body's natural curves and functions. Patented in the U.S., EU and many other countries. Reduce the risk of developing pressure ulcers and scoliosis. Wider arm-pad is ergonomically designed to offer comfortable support for elbow. New arm tube design allows for easier movement. 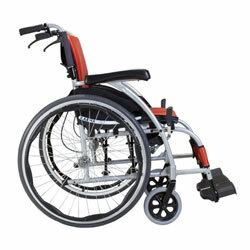 Unlike traditional wheelchairs, the S-Ergo 105 streamline design is both elegant and stylish, greatly enhancing the taste of a unique wheelchair.